Gary and Rich represented my sister, brother and elderly parents in the sale of their UPSCALE (Versace' Style) European Mansion in the Miracle Mile. It was a W...IN, WIN, WIN for ALL with their OUTSTANDING KNOWLEDGE and PROFESSIONALISM from the very beginning to the closing!!! Thank you SO MUCH Gary and Rich, my family LOVES YOU!!! Rich and Gary were excellent! They were very patient with me as I had a number of requests and needs when looking for my home. I'd occasionally send an email to them at 11 pm and get a response! I couldn't recommend them enough! Excellent realtors! Gary and Rich are the best! They are honest and trustworthy and have their clients best interest at heart, always. I have known them for 10 years. They just sold my home a few months ago and the process went perfectly. They handled everything beautifully and secured 4 offers. I had also worked with them many years ago when I first tried to sell my home during a tough market. I decided to rent instead of sell and wait out the market until it went up. They were very supportive and agreed that was the best plan....they worked hard to find me the best tenant. There are a lot of agents out there who would have tried to talk me into selling because of wanting the fast commission - I actually briefly had another agent who lived in my neighborhood try to sell my house but she was all talk, not professional and wanted me to lower the price to a crazy number only because she wanted to make a fast buck...boy, what a difference when I brought Gary and Rich back in...they totally supported my idea to rent my house and sell later...I totally trust then and feel confident referring them to everyone! Rich and Gary have done an outstanding job finding the perfect home for me. They are a great team, knowledgeable and dedicated and a pleasure to be with. My husband and I have worked with Gary and Rich for years now. We sold a condo in Studio City, rented a place, and now we bought a house to renovate. They are fantastic, have great customer service, and are just great guys. We will always recommend them to all of our friends. 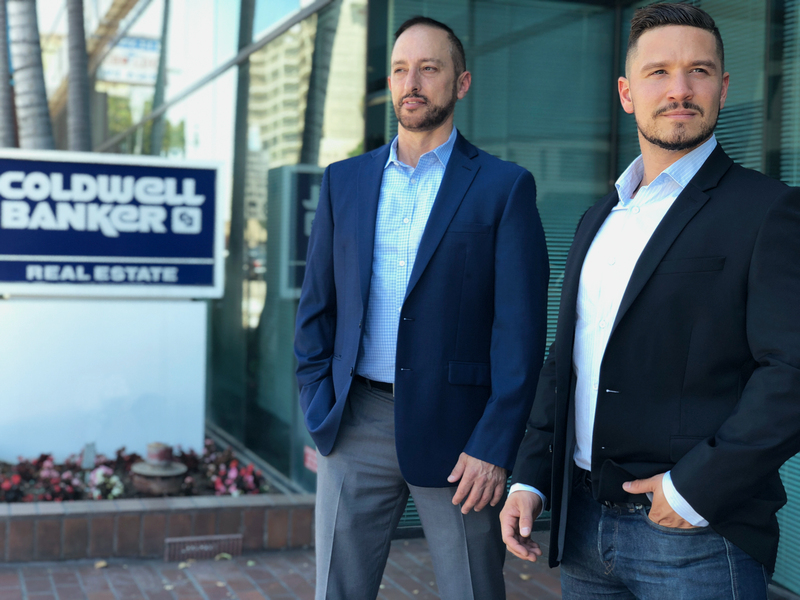 As the project manager of a successful real estate development firm in Beverly Hills, Rich and Gary are my agents of choice. Their dedication, expertise and affability keep them on our team, selling project after project. During the early days of recovery of the real estate economy-- still hard market--Rich and Gary sold out our 18 unit luxury condos in Studio City. Most recently they sold out our luxury (some million dollar plus) town home project in West LA. We are now awaiting completion of our small lot subdivision to work with Rich and Gary again on this exciting project in the Fall. Their professionalism aside, my affinity for these two guys is their fondness of animals! Dear Gary and Rich: I truly appreciate your work with us as you have always managed to provide us with the very best service!! You did an amazing job selling our home and getting us top price! !